Argentina made it two wins out of two under new boss Jorge Sampaoli by hammering Singapore 6-0 in a friendly on Tuesday. A stuttering World Cup qualifying campaign cost Edgardo Bauza his job as coach in April but Sampaoli has enjoyed the perfect start as his players followed up their 1-0 friendly win over Brazil last week with another convincing performance at the National Stadium. Even with Lionel Messi and Gonzalo Higuain rested, Argentina still had more than enough against 157th-ranked Singapore as goals from Federico Fazio, Joaquin Correa, Alejandro Gomez, Leandro Paredes, Lucas Alario and Angel di Maria sealed the rout. Sterner tests are yet to come, with crunch qualification games against Uruguay, Venezuela, Peru and Ecuador to follow later this year. 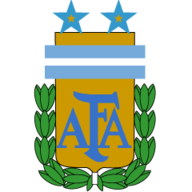 Argentina currently sit fifth in the group, which would only be enough to secure a inter-confederation play-off. But Sampaoli appears to have injected fresh impetus into his talented squad and they now looked primed to make a late dash for the top four, which would ensure automatic progress to Russia next year. 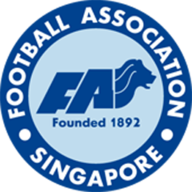 Singapore, meanwhile, endured a miserable 2-1 home defeat to Chinese Taipei in the Asia Cup on Saturday, and defensive errors cost them dear again. Fazio broke the deadlock in the 24th minute when he was left unmarked to sidefoot in Gomez's corner and lax defending was apparent again when Correa poked in Paulo Dybala's drilled cross six minutes later. Singapore held firm until half-time but their excellent goalkeeper Hassan Sunny had to go off injured five minutes after the break, and his departure coincided with the floodgates opening. On the hour, Gomez let the ball run across his body before firing it inside the the right post and then Paredes capitalised on a poor clearance by guiding a shot into the far corner. It seemed that would be how it would end, but two late strikes made the scoreline more emphatic. First, Alario slammed in a half-volley and then Di Maria reacted quickly to substitute Ignacio Fernandez's tee-up, twisting his body and dragging the ball home in one seamless movement for his 19th international goal.